I'm sure you are all aware of the gorgeous Em who runs the amazing blog Emtalks. She also runs her own youtube channel and recently I've been hooked to both of them as I've loved reading about her travel adventures and I just love her fashion sense too. Em also runs her own shop alongside her blog and youtube which I find pretty amazing. I've ordered a few things from her before but recently I was browsing her website and there's just so many gorgeous things on there that I just had to purchase a few bits and bobs and I've decided to share them all with you today. First of all just how cute is the packaging?! 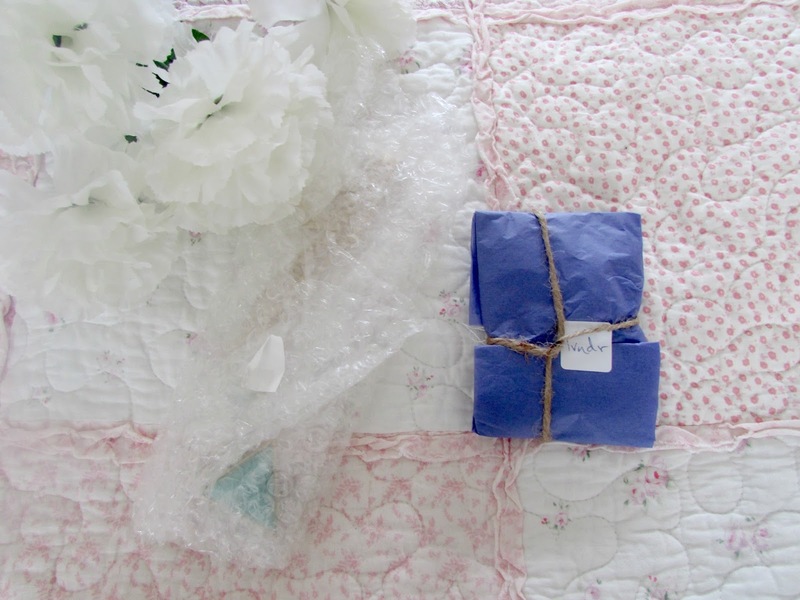 I absolutely love how everything is wrapped up cute little lavender coloured tissue paper and then sealed with a sticker. I think it's really pretty! I love getting these packages through the post as they are just so so stunning. 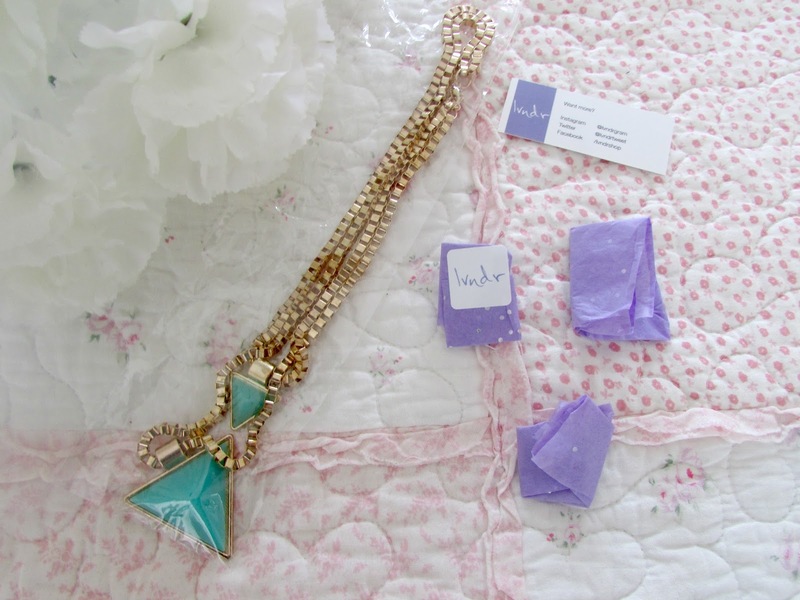 Obviously the necklace was too big to wrap up in tissue paper! LVNDR also sent a business card with the purchase too which contains all their forms of social media so you know where to find them if you need to get in touch. When it comes to jewellery the only things I really tend to buy are earrings as I'm obsessed. I think I have around 250+ pairs stored in different jewellery boxes around the house. I just absolutely love them. I wanted to experiment more with other pieces of jewellery so when I was browsing the shop online I decided to purchase two necklaces and two rings as I really don't have much of either and I really am starting to get into jewellery a lot more recently. All of these items came to less than £25 which I think was a total bargain. 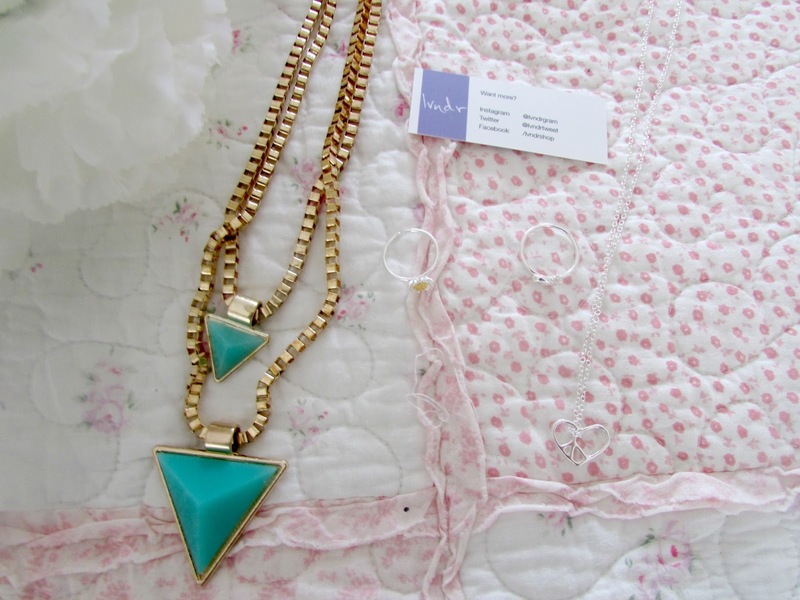 How pretty are these two necklaces? I decided on the mint green chunky triangle one as I just adored the colour and I think this will be perfect for spring. I tend to wear a black shirt a lot of the time and I just think that this will look stunning alongside it and definitely add a little pop of colour to the outfit. I then went in the completely opposite direction and opted for a little silver dainty necklace. I absolutely love the heart shaped charm with the peace symbol inside. I think this is really cute and definitely something that I can wear every single day. You can find both of these necklaces HERE & HERE. I then decided to purchase a couple of rings too. 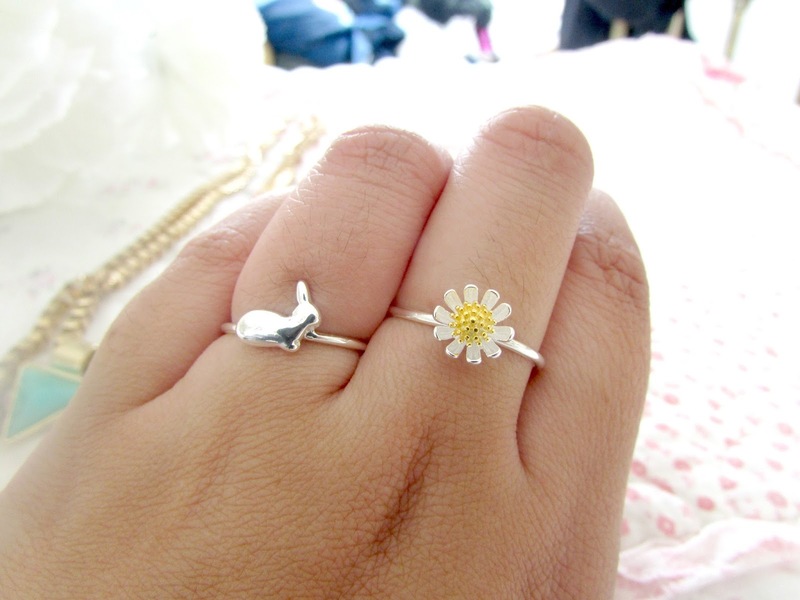 I absolutely love the bunny ring. I thought it was an appropriate buy to considering as it's Easter. It's just so cute. I also opted for the daisy ring too as I thought it was really pretty and definitely got me in the mood for spring when I saw it. It's just so pretty. Again I can wear both of these rings on a daily basis and the Daisy ring will add a pop of colour too. If you are interested in these jewellery pieces then you can find them HERE & HERE. I absolutely love this little shop as the person that runs it is absolutely lovely, you know you're guaranteed a good service and all the pieces are extremely pretty and affordable too. This is a great place to go if you're stuck on what to buy your friends for birthdays or other special occasions. LVNDR also contains a couple of clothing items, headbands, bracelets and other jewellery items like the bits I've bought too. LVNDR also ships worldwide. What more could you want? Head on over HERE to browse the full range of products on offer. What are your favourite jewellery pieces? I love the rings =] so cute.